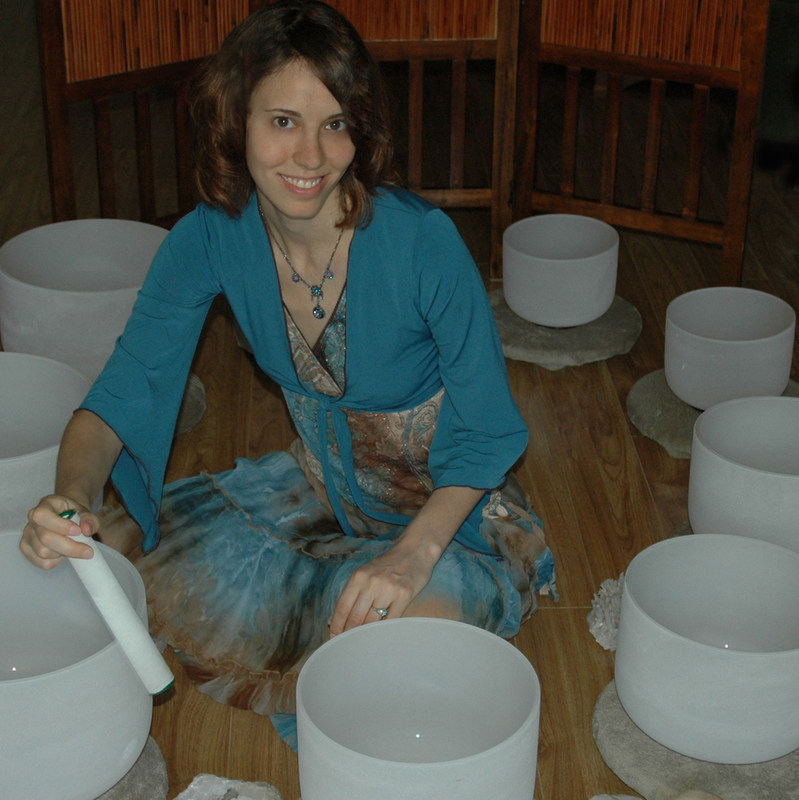 Triniti Healing is the name of Nicole’s business, a name given to her in her meditation before even knowing about the crystal bowls. It has since- during Nicole’s own growth and evolution- truly become a cleansing and balancing within the body, mind, and spirit to create a greater healing shift within. After years of personal research on health due to bringing her own digestive system and body into balance, she is now studying to become a Nutritional Consultant, to specialize in digestive balance, healthy weight loss, and more vitality. With her already established practice of melding the mind and spirit with her Hypno-Chakra Balancing, she is excited to truly be aligned to the name of Triniti Healing. Background: After a year long intensive Hypnotherapy Course at the only nationally accredited school in the nation called Hypnosis Motivation Institute, Nicole Vanderhoff incorporated her other interests and talents into her hypnotherapy practice, making it a unique experience. She has been practicing since the beginning of 2004. 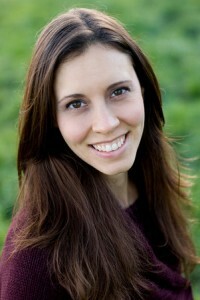 She graduated from Hypnosis Motivation Institute, the only nationally accredited school for Hypnotherapy, in Aug 2004. It is also the only school for Hypnotherapy that offers such an extensive training program. The program is a year long with 2-5 classes/week. Most recently Nicole took the Awakening the Illuminated Heart® workshop from a local Portland facilitator who had been taught by Drunvalo Melchizedek, a leading spiritual teacher/facilitator who is very present these days, particularly through free youtube videos, to help provide information to assist us in our evolution and shift into heart consciousness. His latest videos are inspiring and love-based. The workshop gave Nicole an added boost toward assisting her in her process of living within a greater heart based consciousness. Taken in the powerful year of 2012, it was a year of one positive shift another another for her, and she’s ready to assist others in that process as well. Nicole has also taken certification courses offered and trademarked by Dr. Doreen Virtue, a world renowned author of many spiritual books such as Healing with the Angels. These certification courses include the Angel Therapy Practitioner’s Course (ATP), Mediumship Course, and the Professional Spiritual Teacher’s Training Program (PSTTP). The Angel Therapy Practitioner’s course was a 6-day experiential intensive training course taken in October of 2004. During this intensive, amazing course, we gave several intuitive readings on such things as finding and removing psychic blocks, the chakra centers, finding who are attached to you through draining etheric cords and removing them, card readings, mediumship readings, spirit guide readings, Archangel readings, and of course, just general readings. That same month, Nicole took a 3 day intensive Mediumship Course. The attendees practiced contacting deceased loved ones and gave a final mediumship reading to an audience, similar to the likes of James Van Praag and John Edwards. Each attendee was required to say three unique things that the person receiving the reading could validate about their deceased loved one for the attendee to complete the course. Nicole’s guides work with her, giving her experiences to train her to live from the heart. She in turn feels honored to be able to work with those also ready to live more within their hearts; ready to embody a higher frequency of Love and Light. She loves what she does for a living, and enjoys hearing how these services and group session benefit people, creating a healing shift within them. Despite of what all the above may seem, she is still quite down-to-earth; a good balance between being grounded within herself, and open to her Higher Self, with a really great sense of herself, especially as she comes into her own power more fully. Currently:Nicole resides in Portland, Oregon, her home since 2007, as a single mom of the sweetest boy born in 2008, who fills her up with such love and happiness. She is grateful to facilitate many group events during this amazing time of a worldwide (or galaxy or universal!) shift, being another avenue for us all to hold the intention of a greater Divine connection within, so that we may be able to shine that back out into the world.